Keep cool with enough ice-cold water to hydrate you on sweltering days with a Coleman® 1/3 Gallon Jug. 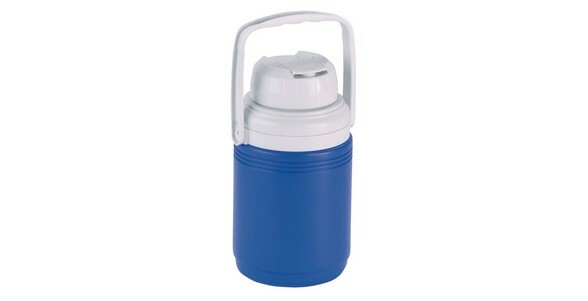 The wide-mouth top and twist-on cap make filling easy, and a flip-top spout makes quick work of grabbing a drink. Its durable design resists dents, scratches and fading, while the stain and odor-resistant liner eliminates lingering smells. The large bail handle makes carrying easier so you can bring the Coleman® 1/3 Gallon Jug with you anywhere.